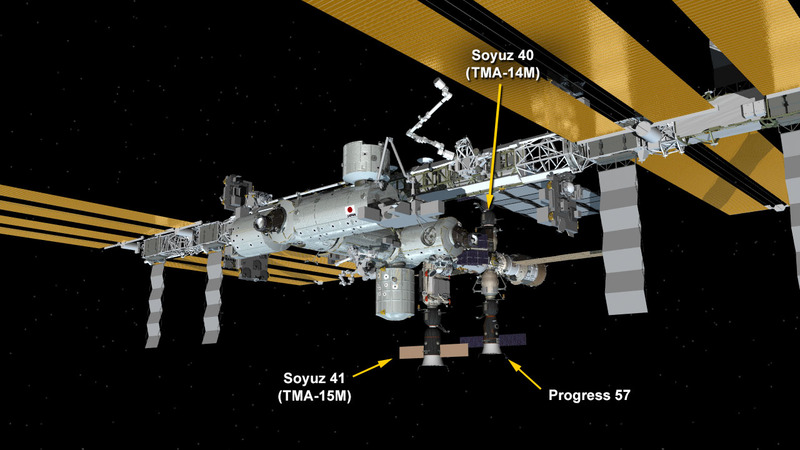 The ISS exterior as of Valentine's Day, after two undockings. Europe's "Georges Lemaitre" Automated Transfer Vehicle (ATV) was released from the station on Valentine's Day, carrying a payload of trash from the ISS. The last in a series of five ATVs, the Lemaitre deorbited (a.k.a. burned up in a glorious fireball) in Earth's atmosphere today. All together, these ATV missions ferried 34 tons of cargo to the ISS since 2008. Next, the ESA plans to use their technology to help improve NASA's Orion spacecraft for future deliveries. A beautiful exit for the ATV. 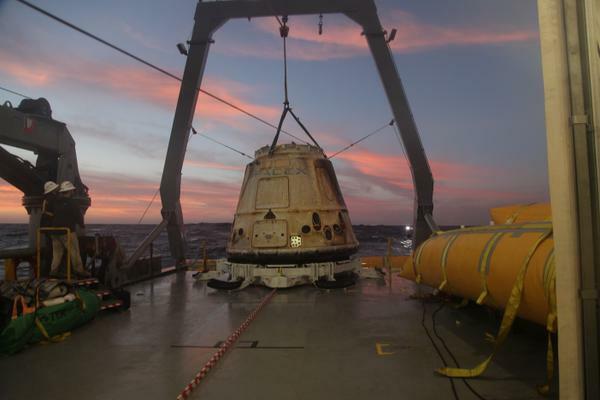 Earlier in the week, the SpaceX Dragon cargo craft also departed the station, but with a more prosperous outcome. It landed on Tuesday off the coast of Long Beach, California and was rescued to obtain its full payload of completed scientific experiments as well as extraneous ISS items. SpaceX founder Elon Musk tweeted this image, captioned, "Coming home." Now that there's a little extra space up in our part of space, Russia plans to launch a Progress 58 resupply ship on Tuesday morning, which will reach the station on the same day. The Progress 58 will deliver food, fuel, and supplies, despite a temperature of around 18 degrees in the launch zone. A little snow is no match for a rocket! 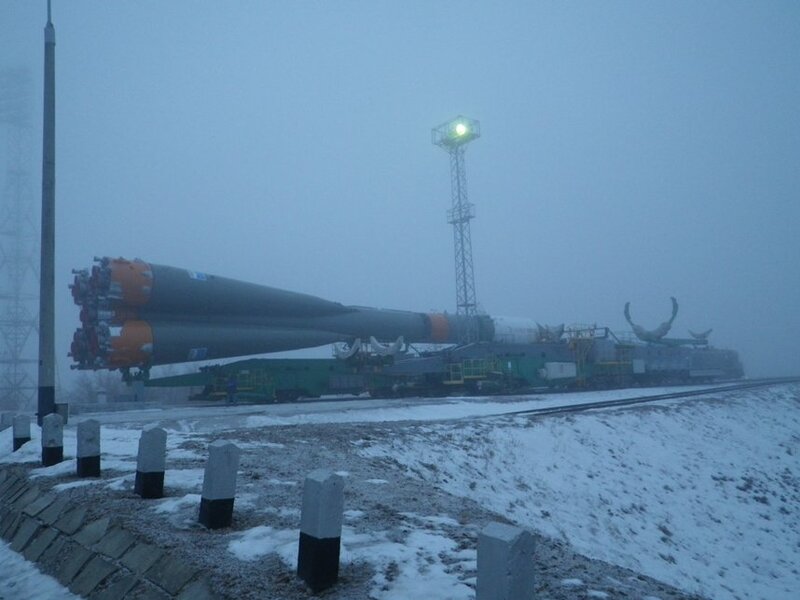 The Progress 58 heads to the launchpad in Baikonur, Kazahkstan. Meanwhile, back in space, the station looked lovely as ever on Valentine's Day, where pink lights aided an experiment on plant growth. The ISS interior, showing some scientific love. Do plants like mood lighting as much as humans? Our astronauts intend to find out! Finally, if you like seeing the ISS everyday but can't always bust out a telescope or a computer, NASA has released a downloadable 2015 ISS calendar packed with history, images, and even moon phases, to make your days on Earth a little more interesting. That's all for this week, space fans! See you next Sunday with news from the Progress's progress! Watch this space! Even if you didn't have a Valentine yesterday, remember that Mother Earth still loves you. More heartwarming Earthly images are available here.